Accepted payments for PayPal VISA, Master, Euro, Amex, Discover cards. We provides you the facility to make the payment using major Credit Cards. The customers can use their credit cards to pay for their invoices. Paying by credit card streamlines our billing process and helps us keep our prices the lowest you'll find. Our Credit Card Payment Gateway collects the payments from VISA Card, Master Card, Euro Card, Amex and Discover. We offer you the facility to make the payments using any major Indian Debit Cards(ATM). The customers can use their debit cards to pay for their invoices. Paying by debit card streamlines our billing process and helps us keep our prices the lowest you'll find. Our Debit Card Payment Gateway accepts all major Debit Cards, ATM Debit Cards with no extra cost. 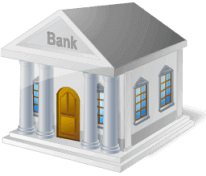 Indian bank account holders in leading Indian banks can pay for our services directly from your bank accounts (commonly called as net banking) without the need for a credit card. Not everyone holds a credit card. But, almost everyone has a bank account. It accepts payments directly from major Bank Accounts like ICICI, SBI, Citi Bank, etc..
Pay instantly from anywhere in India by depositing Your Cash in our account at your nearest Central Bank Of India branch or Transfer funds through Net Banking. By Cash : Please Add Rs.100/- Towards Bank Fees. By Online : Please Add Rs.25/- Towards Bank Fees. Payments can also be made by Cheque, by Post. Payments should be made in Favor of " ShivShakti Web Solutions & Services " payable at India. Please attach your requirement / order while mailing your payments. Fill The following form and we will contact you shortly..